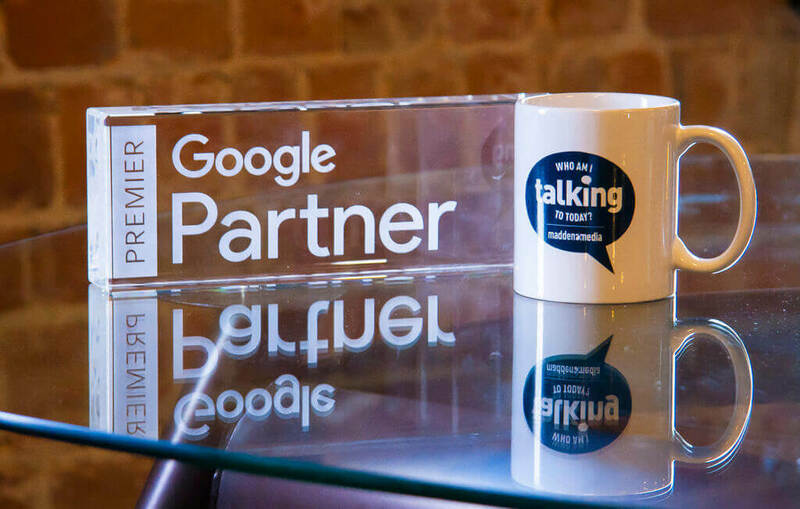 There are three tiers of partnership with Google: Google Member, Google Partner, and Google Premier Partner. To be recognized as a Premier Partner not only means that our employees are experts in the field of Google digital advertising, but also means that they trust us to treat your campaign with the utmost care. How does the Partnership benefit our clients? The expertise of our employees is second to none. We are constantly learning new and better ways to run campaigns, passing on the benefit of their knowledge to our clients. At Madden Media, we have over a dozen Google Certified Experts who have specialized in several different disciplines of Google AdWords. We also receive exclusive, executive business training from Google, so we are always up-to-date on new products and procedures. To achieve and maintain a Google Premier Partnership, we had to prove a history of client satisfaction and retention, client revenue growth, and company growth. Madden Media consistently meets and exceeds these benchmarks—so you know you are placing your campaign in the right hands. Any business can become a Google Member, and any marketing company worth their salt can qualify to be a Google Partner. So with all of those accounts, how can you make sure Google is paying attention to your campaign? As a Premier Partner, our accounts are given priority over other Google accounts. Google representatives are available to speak with us by phone, chat, or email, so we can always discuss the best practices and options for your specific campaign. To be selected as part of such an exclusive partnership gives us the support from Google to back the expertise and care that goes into each campaign we run—making our clients happy. So yeah, we’re pretty proud of that. Let us become your trusted partner.